Cannabidiol is everywhere – from your friend’s medicine cabinet to your chiropractor’s waiting room. CBD has created a billion-dollar industry, but how much CBD Oil should you take? Unlike supplements and medications, CBD isn’t regulated by the FDA, which means that it’s often difficult to find reliable information about an ideal dosage. If you’re searching for CBD dosage charts, you’ve come to the right place. CBD affects everyone differently, and external factors like diet, weight and age can play a role in how your body responds to the compound. If you follow this CBD dosage chart and don't feel the benefits, you may need to increase your intake. Milligrams per dosage. Take 1-3 times daily. Why Is It Difficult to Determine How Much CBD Oil Should I Take? Unlike other supplements, the FDA has no recommended daily intake for CBD, and CBD Oil does not have a standardized serving size. Determining how much CBD Oil to take can be tricky because the compound is highly individualized. 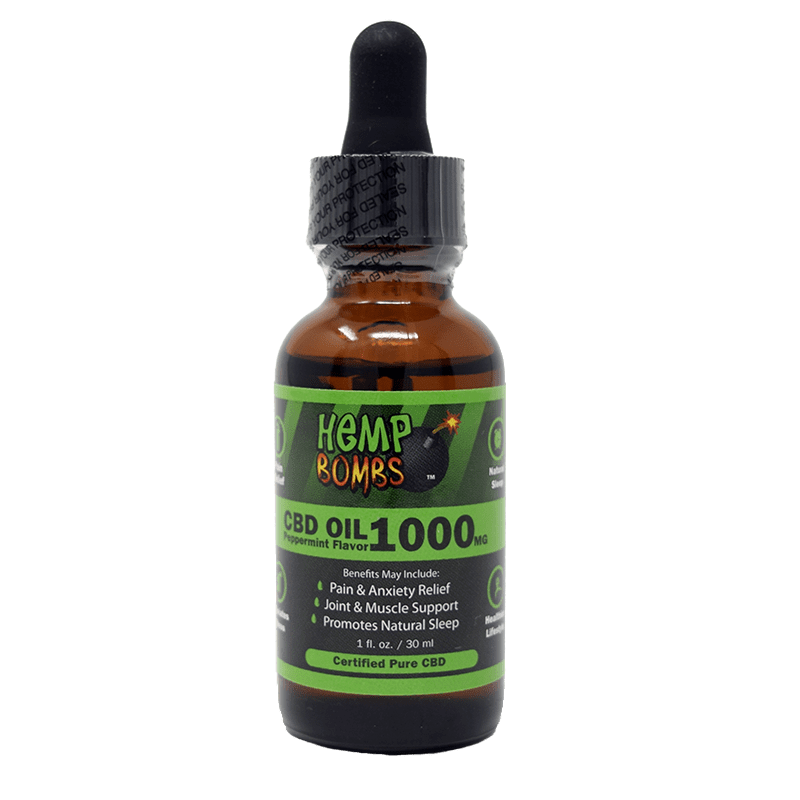 If you get recommendations from friends or family, you may end up taking too little or too much CBD, which is why Hemp Bombs has created a standardized CBD dosing chart. CBD is not associated with overdose. If you’re worried about taking too much CBD, you should know that there are no fatal side effects associated with this natural compound. You may feel unpleasant if you don’t take the right amount for you, which is why we advocate finding a reliable CBD dosage chart and using it as a guideline. When you’re asking yourself, “How much CBD Oil should I take?”, remember that you won’t be in danger. If you took thousands of milligrams of CBD in one sitting, you may experience dry mouth, lightheadedness and more – but research has not shown any potential for life-altering or life-threatening consequences. CBD Oil, also called CBD Tincture, isn’t considered a cure-all, and many of these positive effects are still being studied by doctors and researchers to examine how CBD affects the body. The results so far are promising, but people still wonder whether CBD dosage charts are trustworthy. It makes sense – without standardized dosing guidelines from a regulatory agency, it’s normal to be skeptical. At Hemp Bombs, we’ve created our dosing chart based on research and customer testimonials. We recommend starting with 15 to 30 milligrams of CBD daily, but you can adjust that dosage as needed. Once you know how much CBD to take, it’s time to find a reputable brand to purchase from. Because of the industry’s lax regulations, some sellers add harmful, unnecessary additives to cut costs. Hemp Bombs values your health more than anything, which is why we source our CBD from superior-grade, organic Industrial Hemp grown in the U.S. We only work with farmers with a commitment to sustainability and the environment. We manufacture CBD isolate, which is CBD without any of the other cannabinoids (chemical compounds) found in the Hemp plant. While some of these compounds may be beneficial, using CBD isolate ensures that our products are THC-free and won’t cause you to fail a drug test. Broad-spectrum and full-spectrum CBD may contain trace amounts of THC. While Hemp-derived CBD won’t get you “high,” full-spectrum products from the Hemp plant could potentially result in a failed drug tests. Why Does Our CBD Dosage Chart Matter? While CBD isn’t known to be dangerous in high quantities, our CBD Dosage Chart helps answer the ever-important question "how much CBD Oil you should take?" If your ideal dosage is 25mg a day, for example, taking 10mg may feel ineffective – and taking 50mg may make you feel sleepy. You’ll find your ideal dosage with trial and error, but our chart is a great place to start. One common recommendation for CBD dosing suggests 1-6 milligrams of CBD for every 10 pounds of body weight. It’s also necessary to consider the severity of pain and discomfort. For example, if someone weighs 150 pounds and has mild pain, the dosage could be as high as 18 mg. In contrast, someone at the same weight with severe discomfort may take double that amount to experience relief. Once you know how much CBD Oil to take, you need to know how to measure out a dosage. It all depends on the product you prefer. 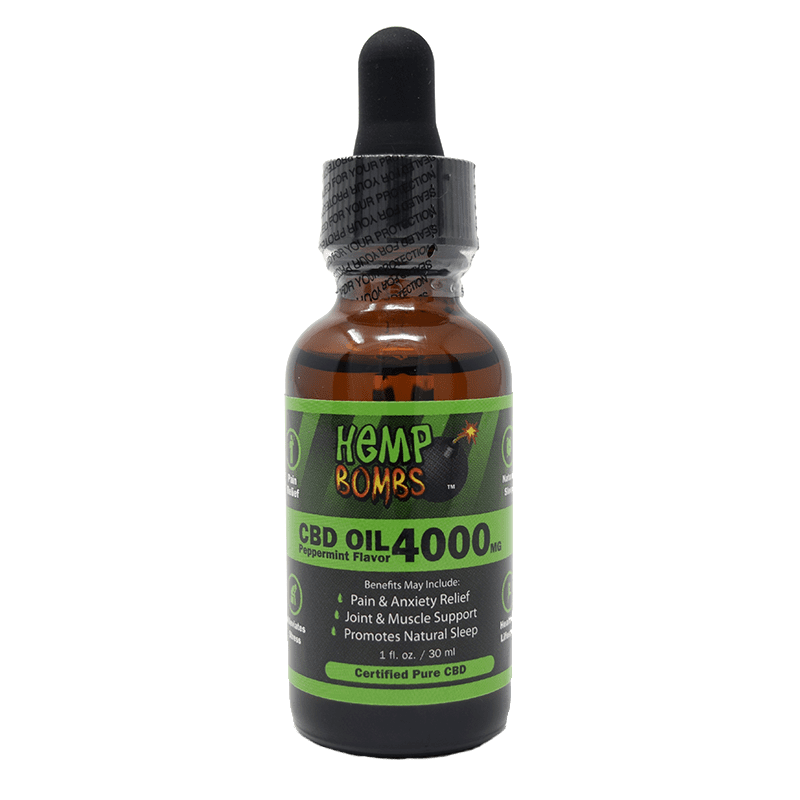 Each bottle of Hemp Bombs CBD Oil comes with a dropper that can hold one milliliter of liquid, which makes the math easy. If you want an even simpler process, CBD Capsules and CBD Gummies are pre-filled with 15 milligrams of CBD each, so it’s easy to take an exact amount. Both the capsules and gummies are easy to take on the go. If you have an existing medical condition and have questions, you can always consult a physician. Though some providers may not have CBD experience, many doctors should have an idea of how your body will react and can help provide a dosage for your situation. 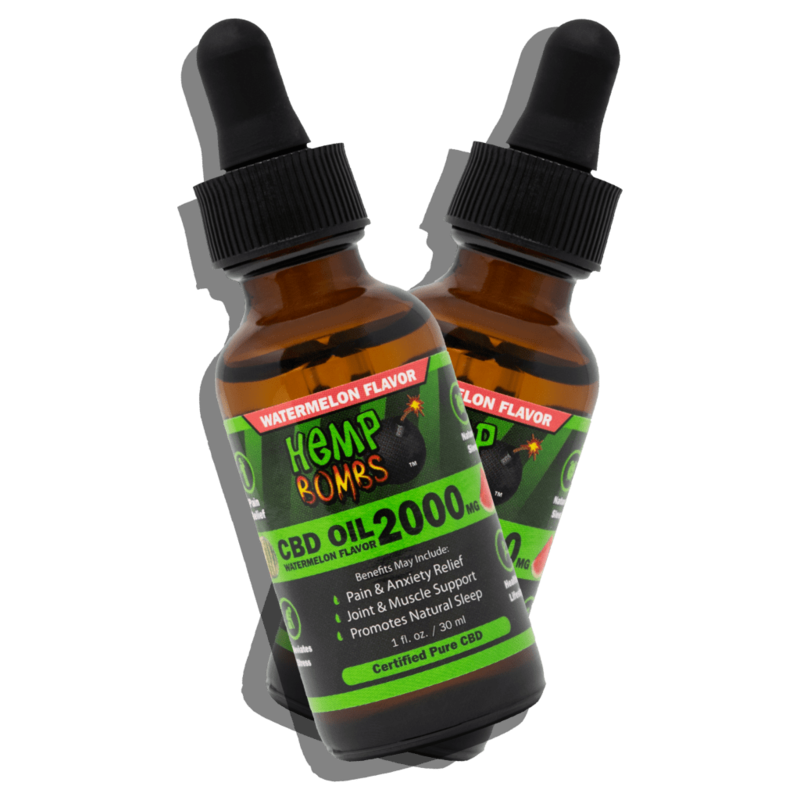 There are many advantages to taking CBD Oil especially when you purchase from a reliable brand like Hemp Bombs. We only use certified pure CBD, and we offer a variety of products designed to meet any need. Whether you choose CBD Gummies, CBD Syrup or CBD Oil, you can rest assured that you’re getting the purest CBD available. If you want a natural way to feel better, Hemp Bombs may have the solution. 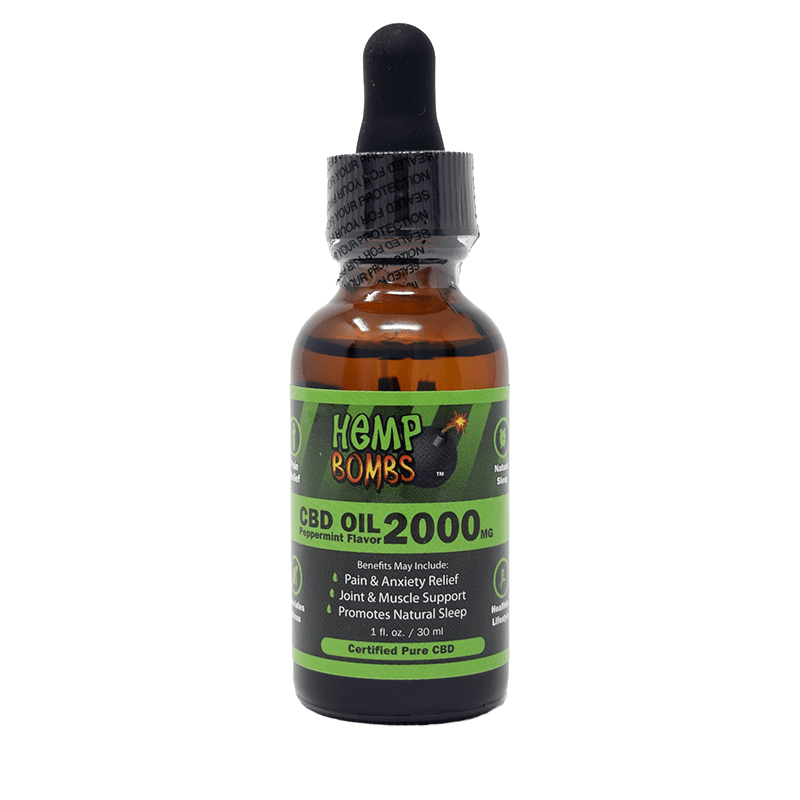 Now that you know how much CBD Oil to take and what CBD Oil is good for, let’s look at how to use CBD Tincture. Whether you’re on-the-go or relaxing at home, CBD Tincture offers convenience and versatility. CBD Tincture is made up of Hemp Oil, Pure CBD Extract, MCT Oil and Grape Seed Oil. 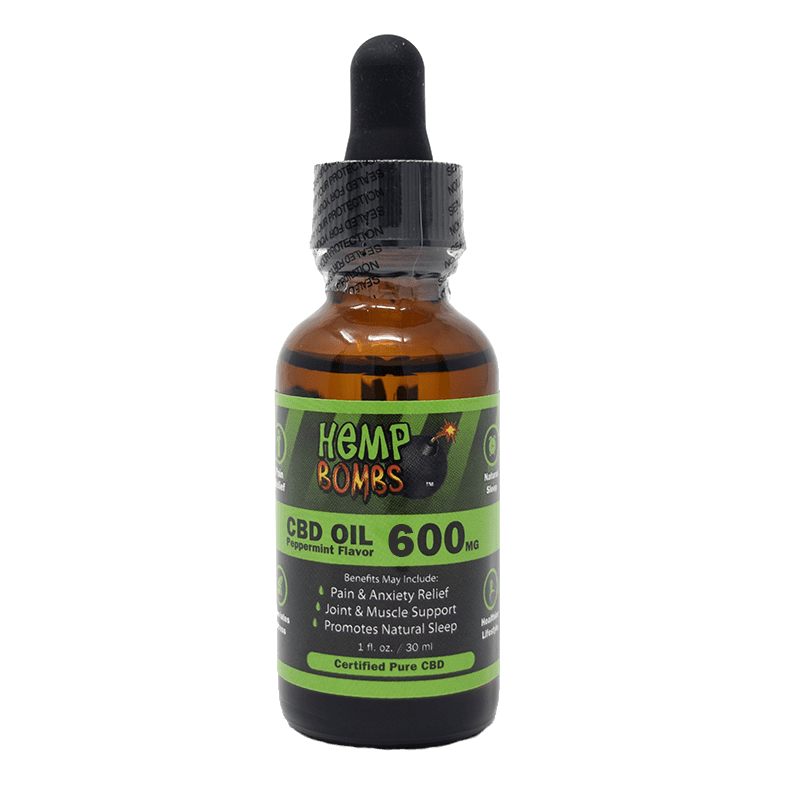 CBD can be extracted from both Hemp and Marijuana plants, but Hemp Bombs only uses superior-grade Industrial Hemp – so you can be assured that you’re getting a pure, natural product. How Does CBD Tincture Taste? While CBD is known for its earthy taste, our CBD Tincture comes in two pleasant flavors. Whether you prefer peppermint or watermelon, Hemp Bombs has the product for you. It’s taken sublingually, which allows you to absorb it into your bloodstream faster. Once CBD enters your bloodstream, your body gets to work – and it’s all thanks to Endocannabinoid System, or ECS. The ECS is a system of cell receptors located throughout your body that affect mood, memory, appetite and much more. The ECS responds to cannabis derivatives once they enter your body, which is why CBD may benefit you in a range of ways. While taking CBD Oil sublingually is the most popular way to ingest the compound, you do have other options. Wondering how to use CBD Tincture in creative ways? One popular method is to blend the tincture into your favorite foods or beverages. For instance, you can blend the product with nut-based milk, fresh greens or frozen berries to create a nutritious CBD-infused smoothie. You can also stir CBD Tincture into your cup of coffee or morning oatmeal. Although some research suggests that cooking with CBD Tincture lowers the compound's potency, it won’t hurt if you toss some of your tinctures with a light dressing into your soups and sauces or over your salad. Eventually, the tincture will be metabolized and absorbed into your bloodstream. For best results, take CBD Oil one to two times daily. We always recommend trying CBD Tincture at home before bed, as some people feel sleepy after taking the compound. As noted on our CBD Dosage Chart, your ideal dose may vary, but you don’t have to worry about overdosing. If you feel overly tired after taking CBD, you may just need to adjust your dosage. If pure CBD Tincture isn’t helping you achieve your desired results, we recommend trying our other CBD products, like CBD Pain Freeze and CBD Gummies. Once you find the product for you, you’ll fully understand why CBD is being hailed as an all-natural “miracle” compound. You should follow the label’s instructions, assess your results and evaluate from there. Read more for a full CBD Oil benefits list.